Toasts sandwiches, grills meat and makes awesome pie-filling desserts all over an open fire. 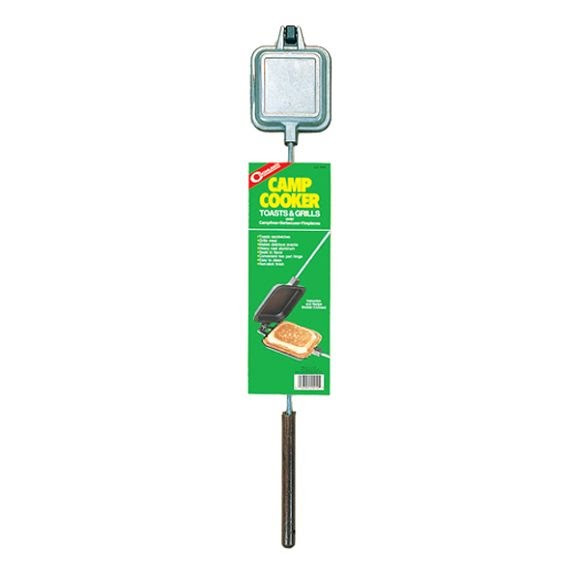 The Camp Cooker is made from lightweight cast aluminum with a two part hinge. Easy to clean with the non-stick finish.